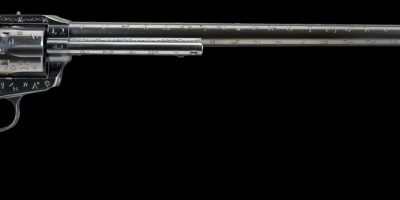 This Browning Model 1886 was the first production 475 Turnbull made, and also the first two barrel set in .475 Turnbull. 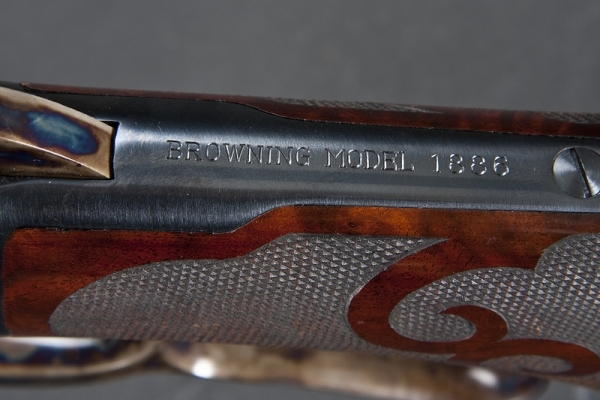 Starting with a modern Browning Model 1886, we converted this to a take-down model and changed it to pistol grip deluxe. 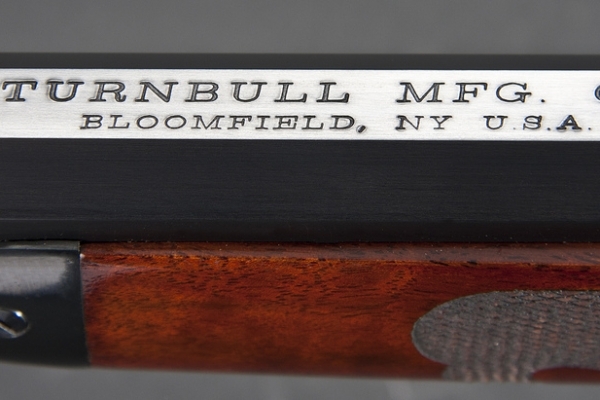 We restocked the buttstock and forend with 4x wood and checkered them with ‘E’ style carving. 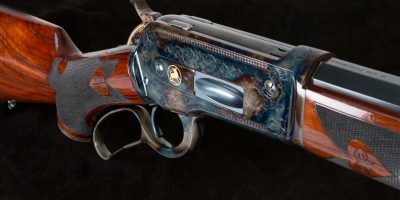 This is a blued gun with color case hardening on the hammer, lever and buttplate. 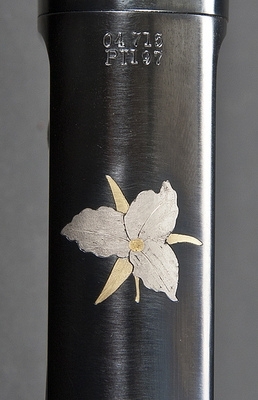 The bottom of the receiver features a platinum and gold inlay of a trillium. 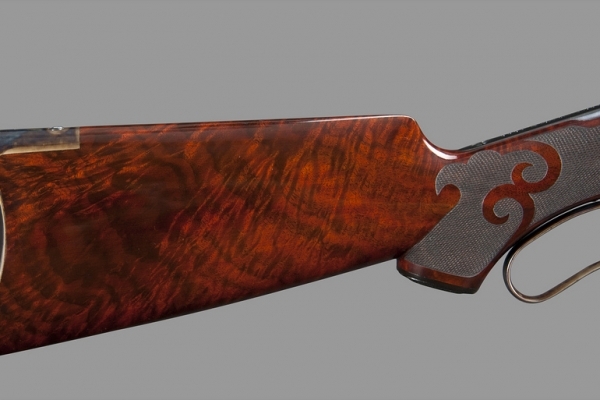 Each barrel has a marbles front sight with gold bead; the rear sight is a semi-buckhorn. 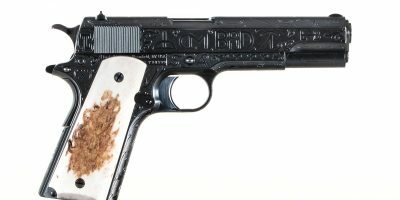 The owner of this firearm, who is downsizing his collection, took very good care of it – only minor handling marks. He has used this to hunt and kill American bison and black bear. 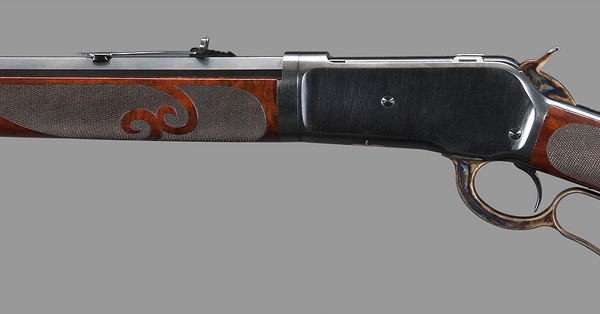 45-70 – 26"; 475 Turnbull – 22"